Here’s another holiday sale you guys might want to get in on. 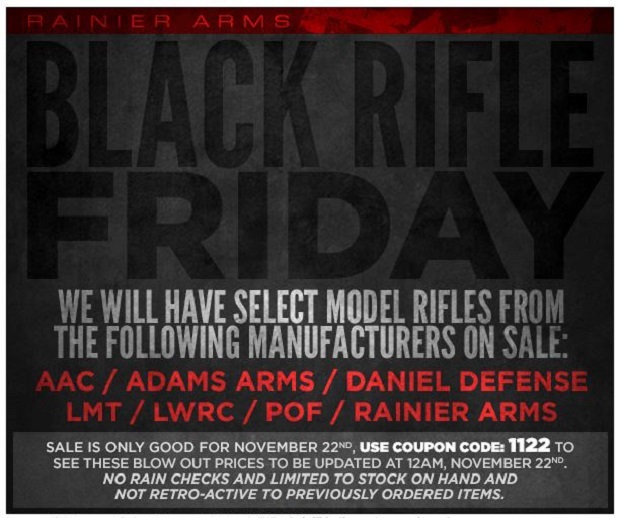 Rainier Arms is having a one day only sale today on select black rifles from AAC, Adams Arms, Daniel Defense, LMT, LWRC, POW and Rainier Arms. Check out all of the rifles on sale here.